Praiz’ intent was never to do music. He wanted to play Football and ascend to the reigns of a decorated international star but fate dealt him a twist when he would later find himself pitched against bosom friend Iyanya, contesting for first place at the debut edition of Africa’s biggest talent hunt, MTN Projectfame in 2008. Although he placed at the first runner-up position, he remained undeterred and kept pushing the envelope in an art that he’d found solace. Six years and like almost a dozen singles after, Rich & Famous was unveiled. A 2-in-1 piece in the form of a debut LP culled from many sleepless nights, dints of hardwork, pleasurable sweat and sheer excitement. As singer/songwriter and music producer, Praiz set no bounds to his versatility. Having attained plenty revere for his impeccably stylish vocals that have been tied to a particular genre, he chose to explore new terrain by casting his net in unfamiliar waters with nothing but a strong heart and really big, high hopes of a desired expectation. 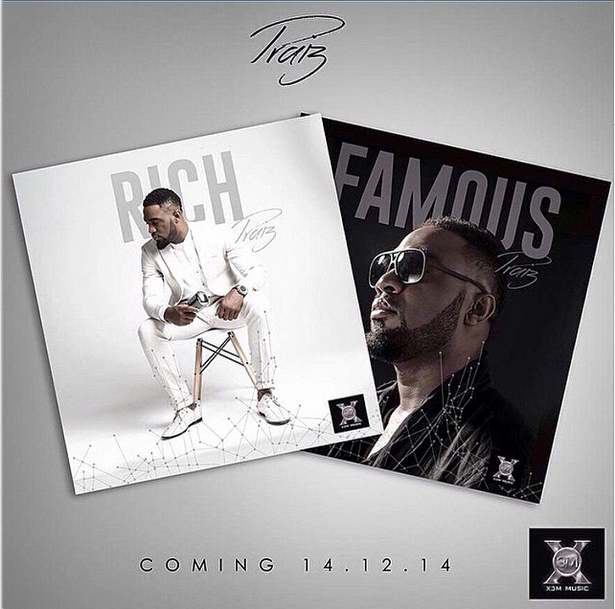 Rich is the section of the album that defines Praiz. The nature of his velvety tenor and musical choices (in the past) never allowed us peg him for the type to exude right in the commercial category of afro-popular songs. But how could we when he’d slayed songs like his cover version of Rihanna’s Stay and the unforgettable Rich & Famous. I think you get my point. Leading the LP – Rich, is A Woman’s Need. The very melodious and vocally stylish R&B acoustic tune describes a good man who’s a work in progress, as what every woman needs. It was written far back as 2008 during his days at the Projectfame Academy. Praiz goes on to sampling R&B of the early 90’s on I Miss You and If I Fall, lacing his vocals with ease and emotion. The dub-step feel was introduced on Want You and had King sounding like Banky W in his new rap dispensation. Super Hero enjoys undulating percussion beats and a futuristic touch as he stretches his vocals to the zeniths of his falsetto range. It aligned perfectly with his thoughts on the lengths he’s willing to go just to keep being there for ‘the one’.